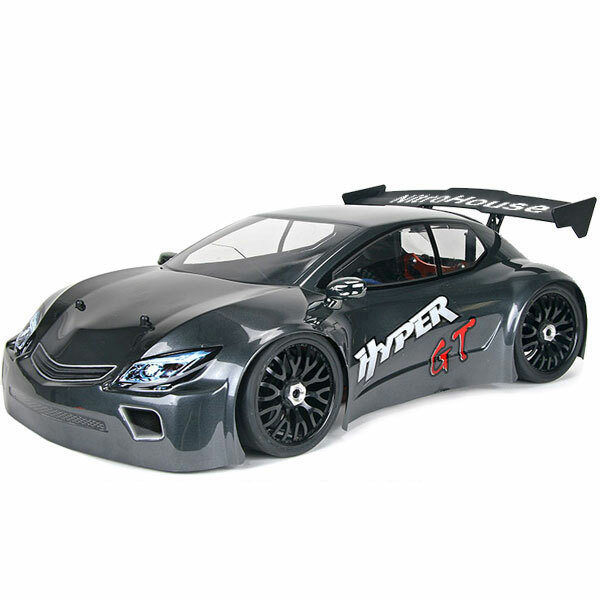 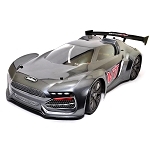 The 1/8 scale Hyper GTe 4wd Electric Race Roller is a race proven and highly advanced racing machine with extreme durability. 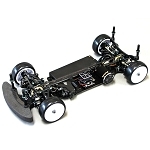 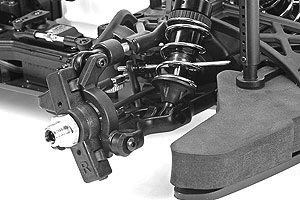 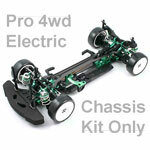 This kit is an 80% assembled race roller chassis ready for your electronics. 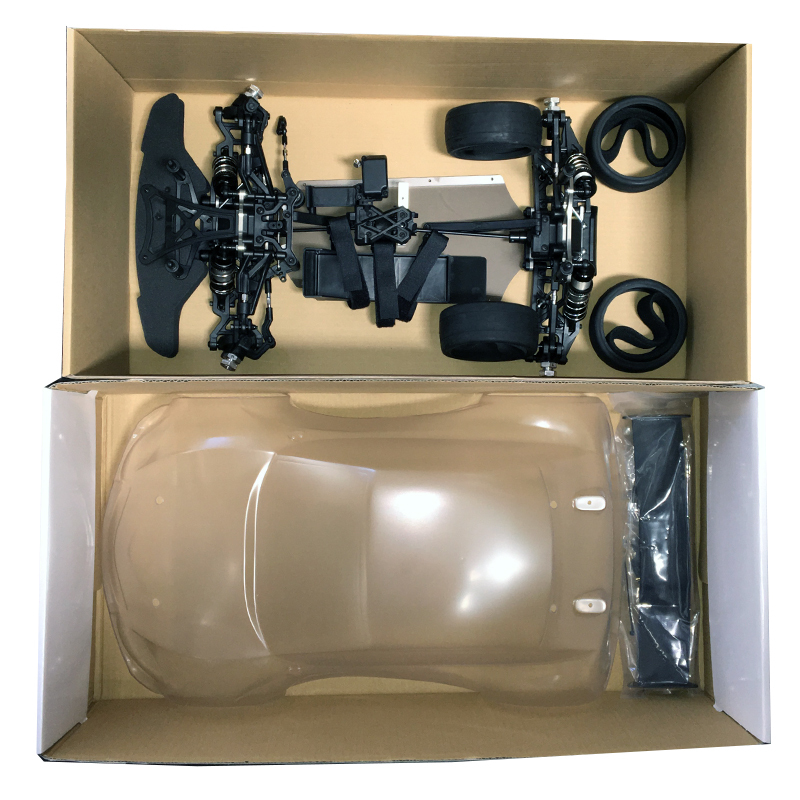 It also includes a clear unpainted "Hot Hatch" race body ready for your custom paint job. 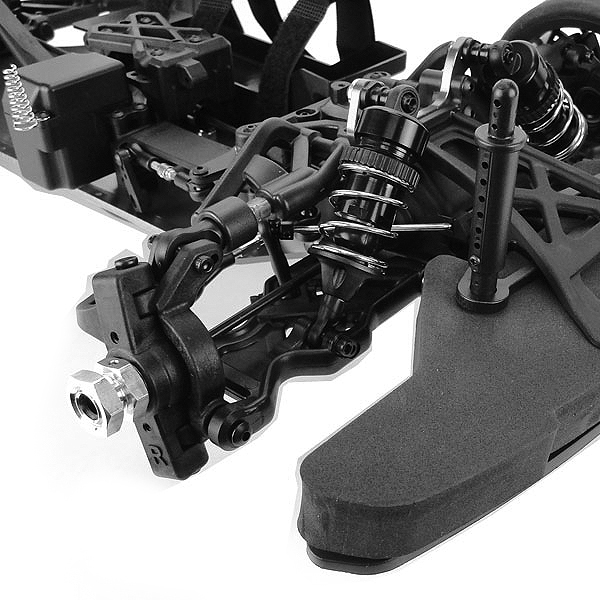 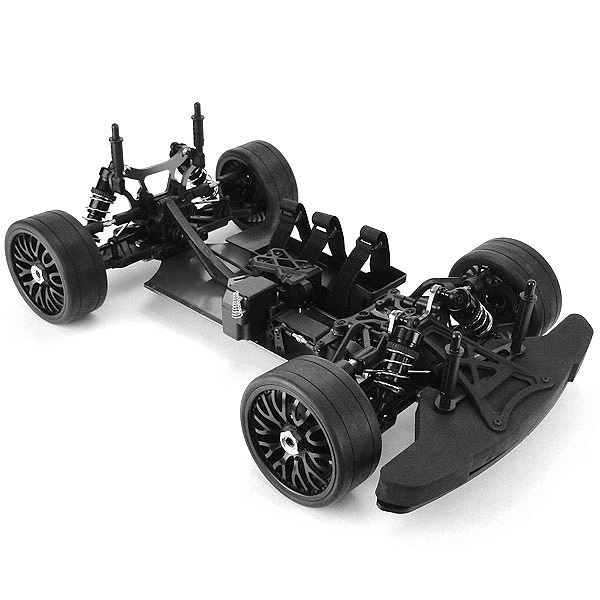 On the track, or making high speed runs, this highly adjustable chassis kit is the one for you (note: kit does not include motor, radio system, ESC, battery, nor painted body). 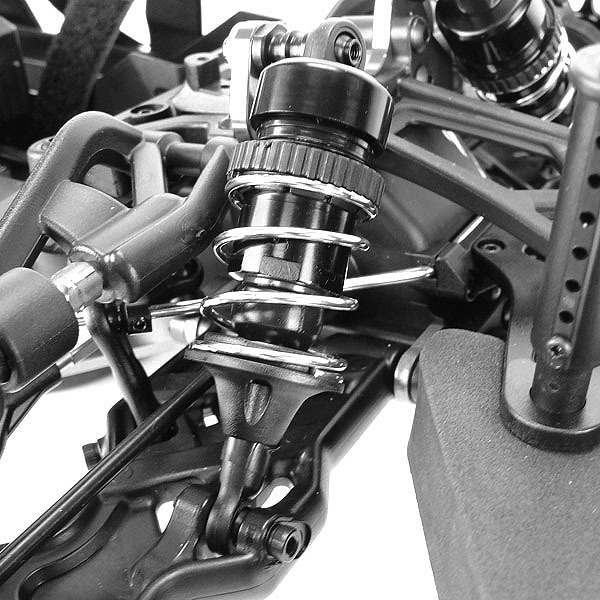 The kit includes 3 oil filled differentials with steel front and rear ring & pinion gears, and steel center spur gear. 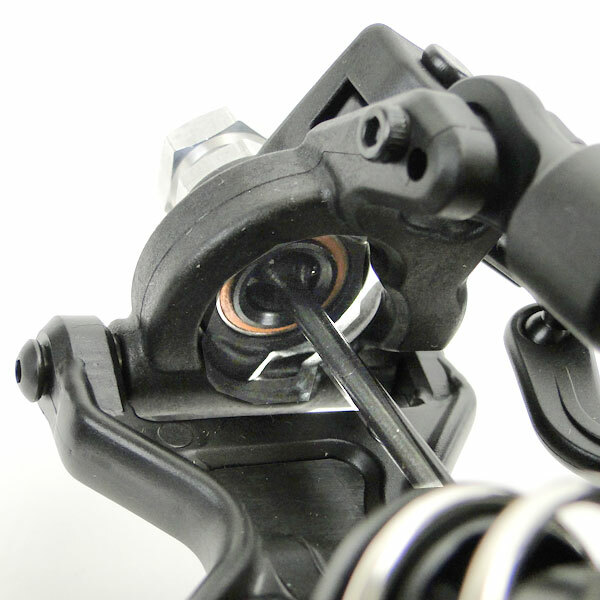 Large 17mm CNC aluminum shocks provide superb dampening. 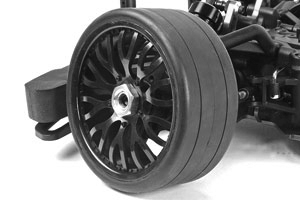 Threaded shock adjusters provide quick and easy ride height adjustments to quickly fine tune ride height and handling. 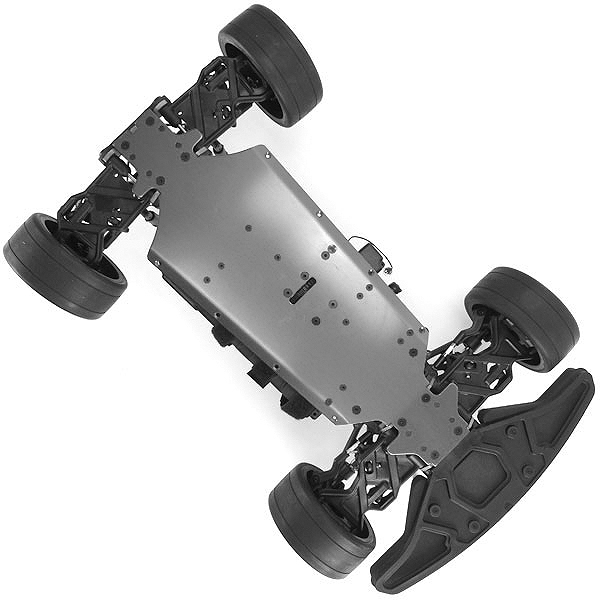 Includes a CNC adjustable aluminum motor mount and heavy duty steel spur gear. 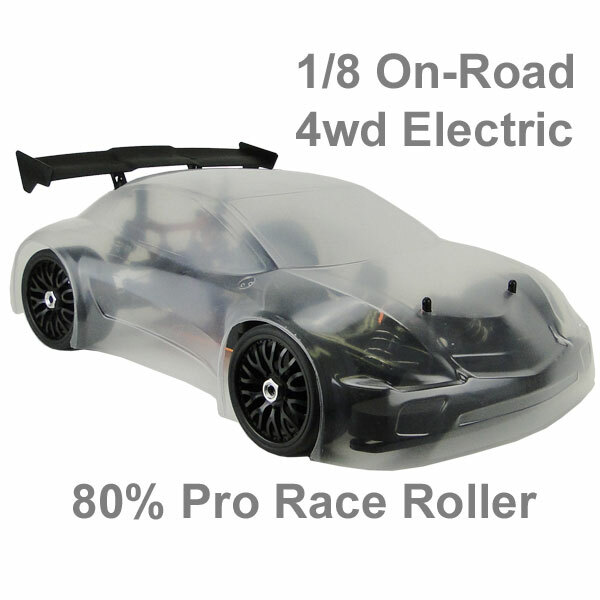 A huge foam front bumper will save you from those heavy impacts. 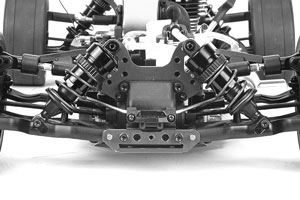 King-pin hub suspension gives the utmost clearance for the front arms to be a high as possible to prevent chassis scrub, the steering is also set to have a large amount of active steering, these components are strong and light. 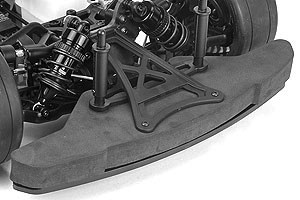 These semi slick tires are great for traction, soft rubber for superior corner speed and forward acceleration, these babies will have the Hyper up to speed in no time. 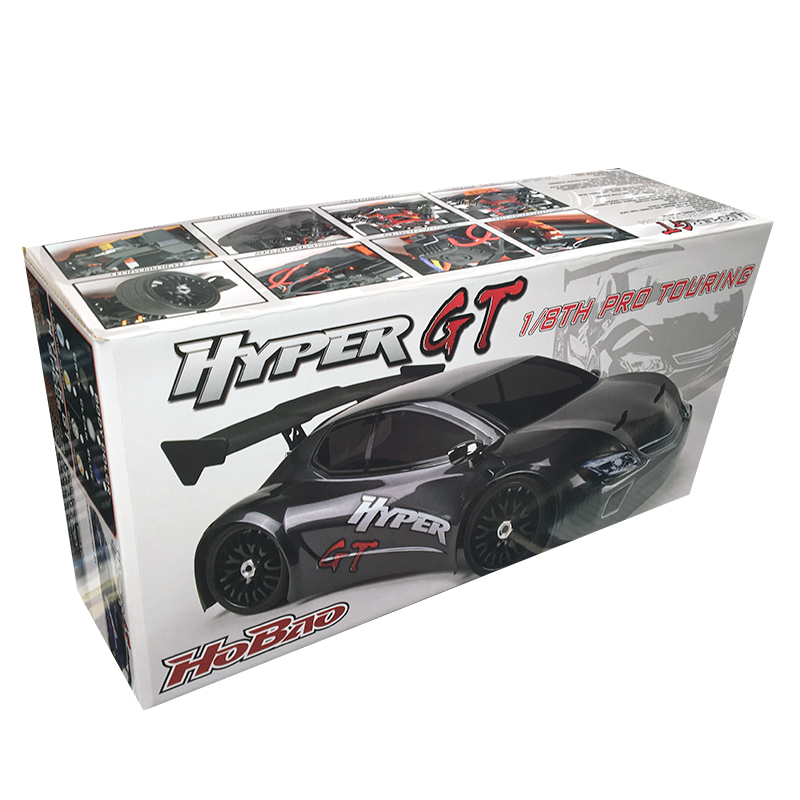 Combine that with the plush Black Mesh wheels and the Hyper GT looks fast standing still. 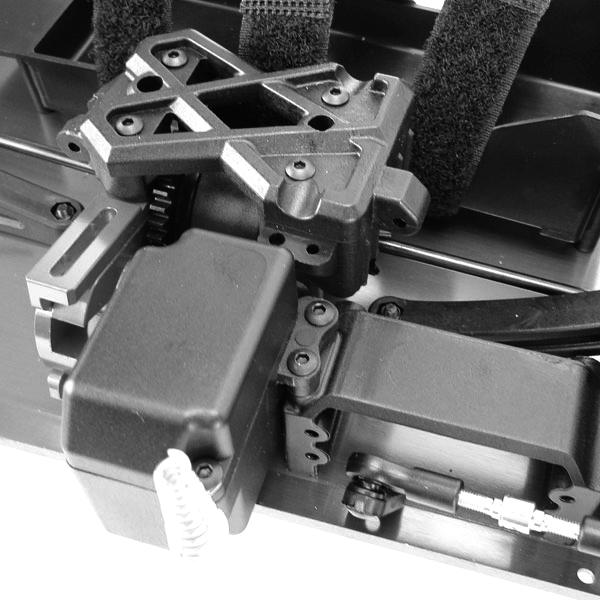 A purpose build electric orange anodized aluminum chassis that is light weight and extremely durable will help your goal of reaching maximum speed. 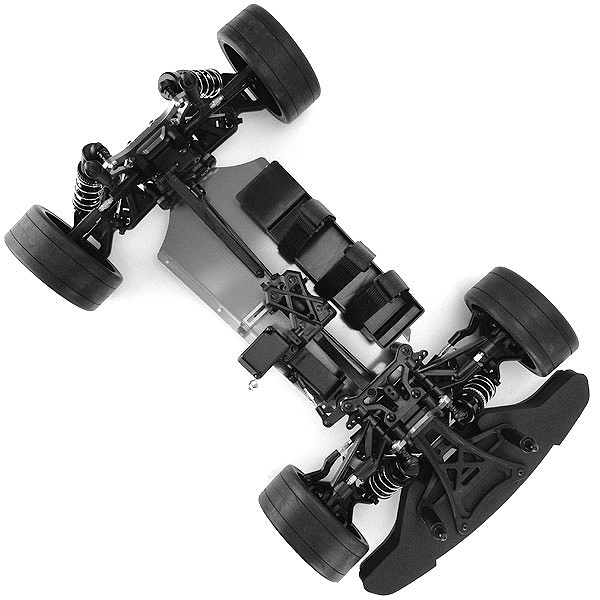 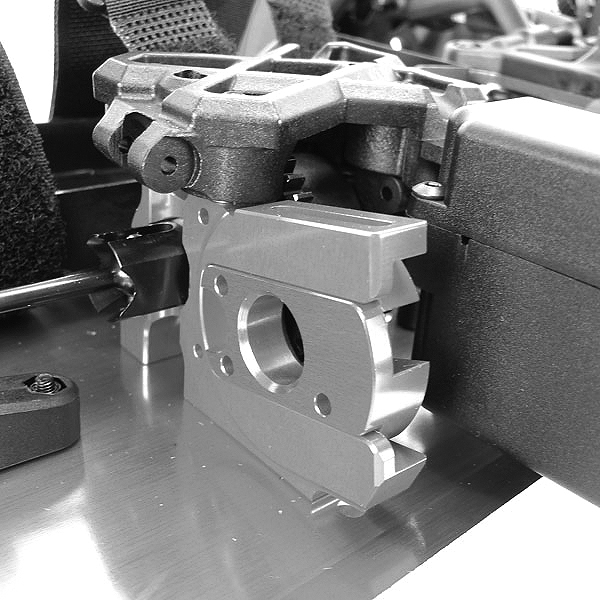 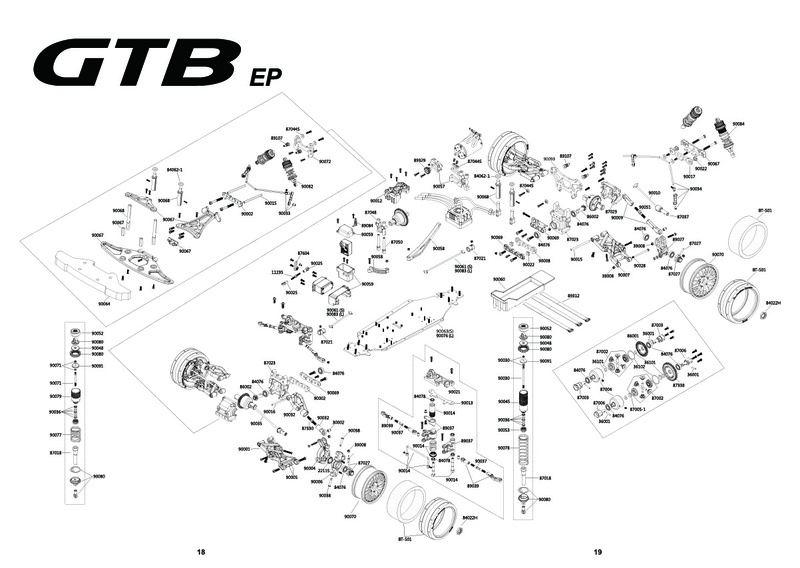 A top down view to help see the layout of all the components that go into this well balanced 4wd on-road racing machine.